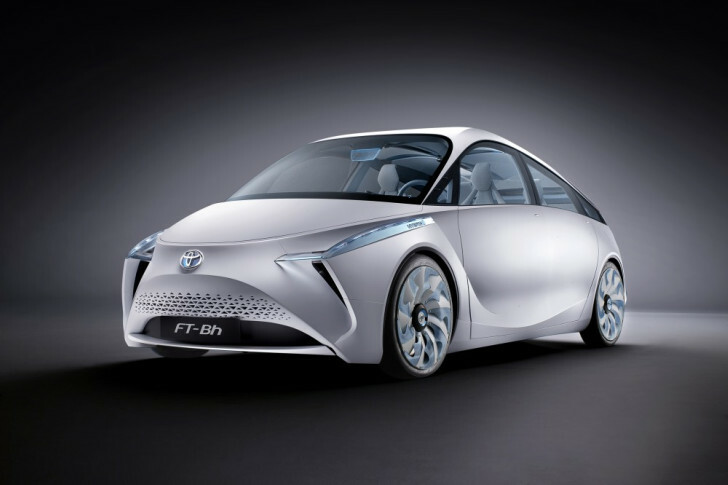 Toyota has just unveiled the FT-Bh hybrid concept at the 2012 Geneva Motor Show. Toyota’s mini hybrid concept minimizes emissions by using economically viable technologies and manufacturing methods. The FT-Bh concept is longer than the Toyota Yaris, but is 25 percent lighter at only 1,760 pounds – read on for more details! To achieve the best possible fuel economy and emissions from the FT-Bh concept, Toyota’s design team focused on five key areas: reducing weight, driving resistance, powertrain efficiency, thermal energy management, and electricity savings. The design theme of the FT-Bh has been labeled “ecomotion,” with its shape demonstrating a new approach to bodywork design. Key panels, such as the roof, are formed to represent the way fabric can be stretched tight between fastening points, to reflect their ultra-light weight. The stretched fabric-look carries through to the minimalist interior, with a concave center console creating a driver-focused cockpit, while maintaining the overall feeling of light and space. Toyota was able to reduce the concept’s weight by 25 percent compared to the Toyota Yaris by using a a combination of high-tensile steel, aluminium and magnesium. The hybrid system is also lighter than the system used by today’s Prius. The FT-Bh is powered by a two-cylinder 1.0L Atkinson cycle engine. It achieves an average fuel consumption of 134.5 mpg on the European driving cycle with CO2 emissions of just 49g/km. From a technical and environmental standpoint: Excellent. From a performance standpoint: Who knows? They haven't even said how powerful that engine is. From an aesthetic one: OH GOD KILL IT WITH FIRE. At least from the front and front-3/4 angles. That nose is UGLY. As an aside: 25% lighter than the Yaris? You mean the current one is more than 1000kg? It's not exactly a big car. In fact, I nearly bought one instead of my Clio, which is a bigger car that weighs a touch under 950kg, with a heavy TD engine, and not exactly feature-poor. Are parts of the Toyota made out of lead? Wind back to the 80s and most common hatchbacks were sub-800kg... Though I suppose as a hybrid we should cut it quite a lot of slack, as that's a fairly amazing result. Toyota has just unveiled the FT-Bh hybrid concept at the 2012 Geneva Motor Show. 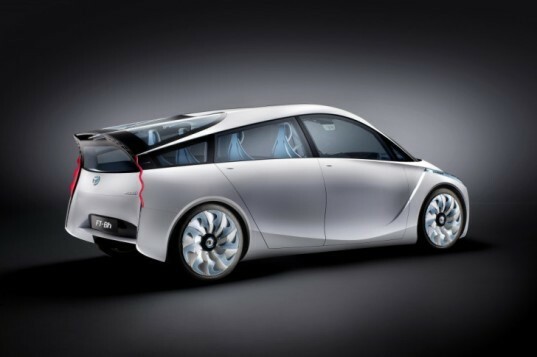 Toyota's mini hybrid concept minimizes emissions by using economically viable technologies and manufacturing methods. The FT-Bh concept is longer than the Toyota Yaris, but is 25 percent lighter at only 1,760 pounds - read on for more details!